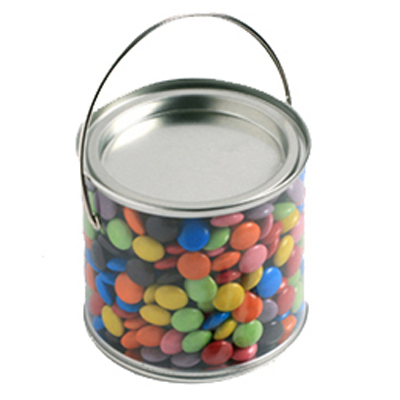 170g of Choc Beans in PVC Bucket. 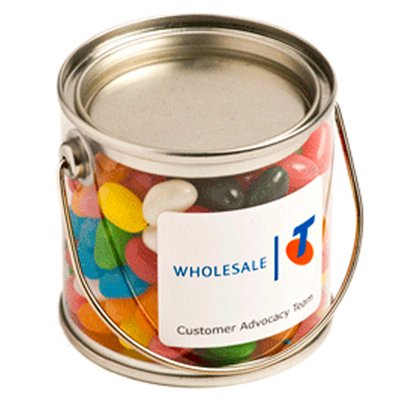 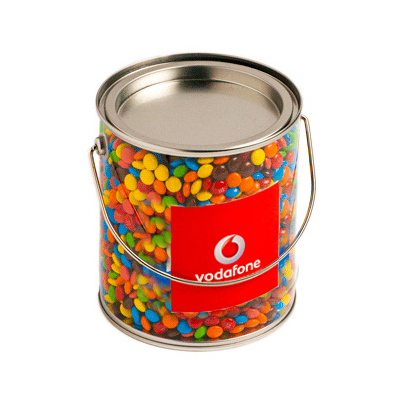 Corporate Colours at additional cost. 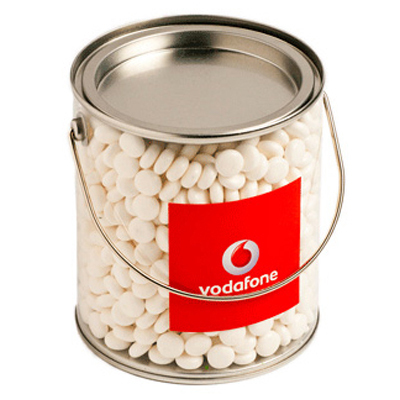 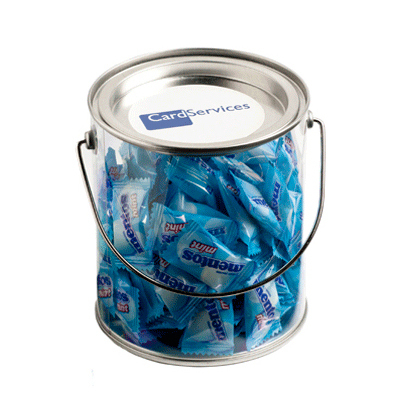 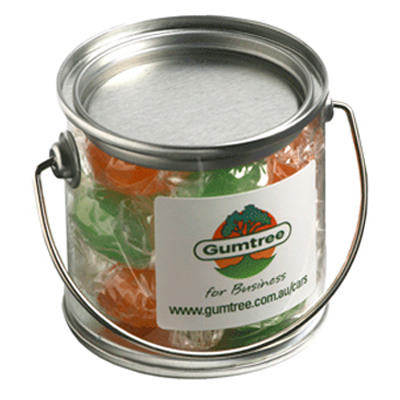 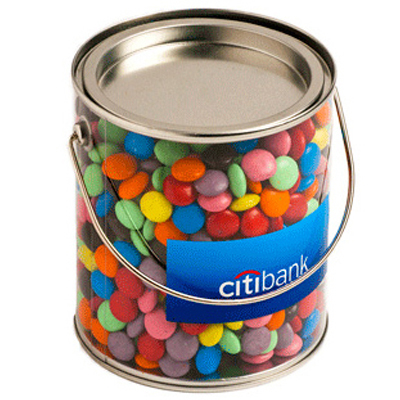 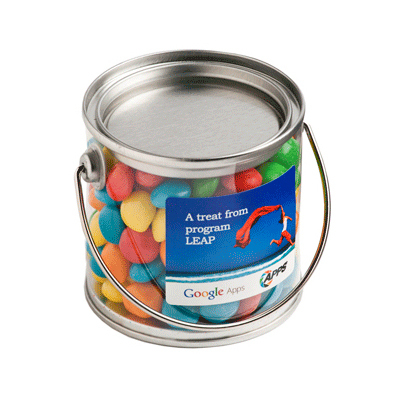 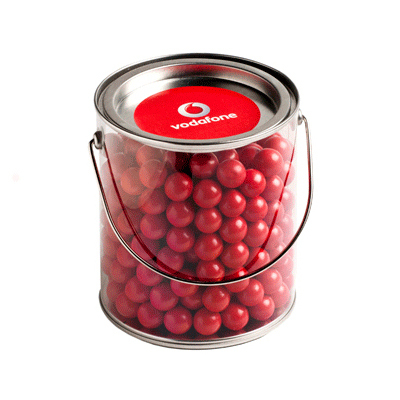 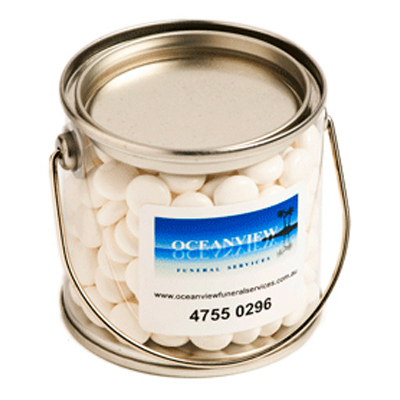 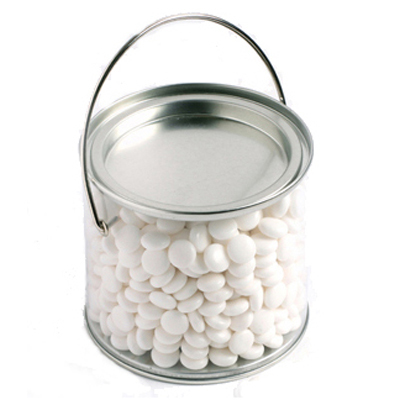 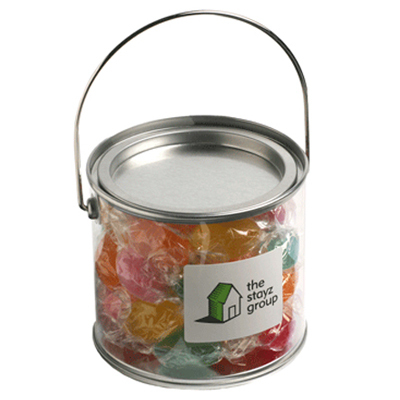 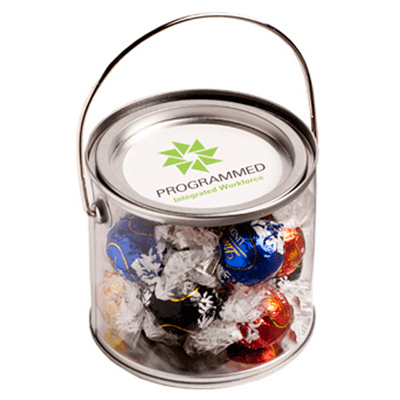 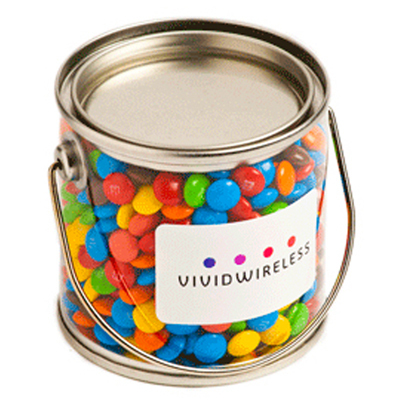 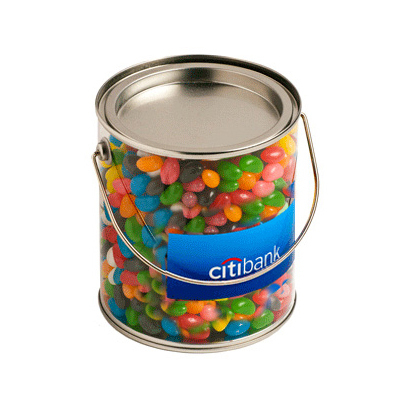 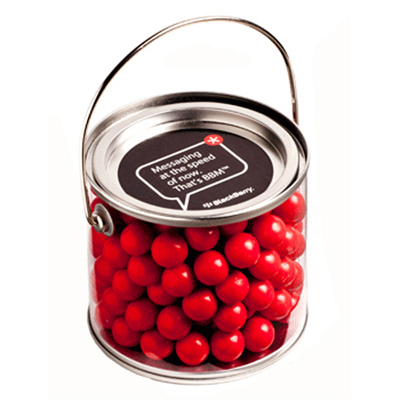 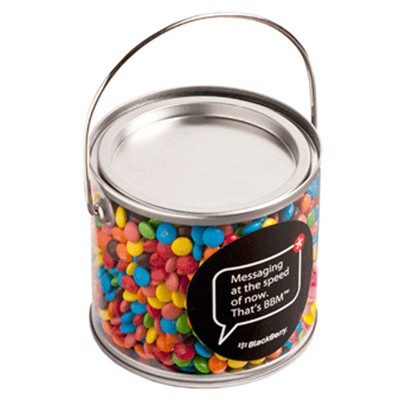 170g of Mints or CHEWY Mints in PVC Bucket. 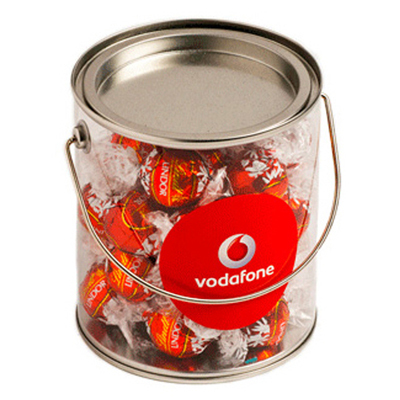 160g of Orange Choc Drops (Jaffa Look Alike) in PVC Bucket. 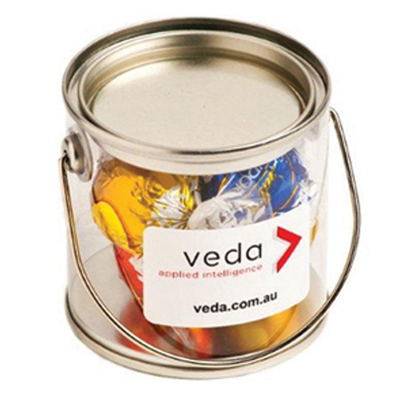 400g of Choc Beans placed in a cello bag in the PVC Bucket. 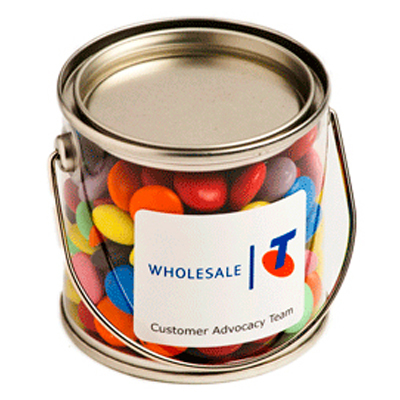 Corporate Colours at additional cost. 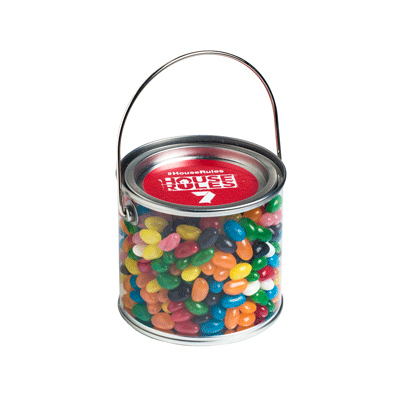 875g of Choc Beans in PVC Bucket. 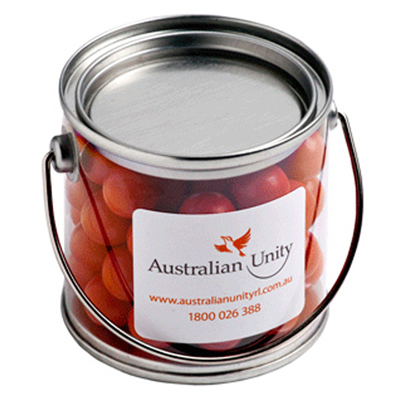 Corporate Colours at additional cost. 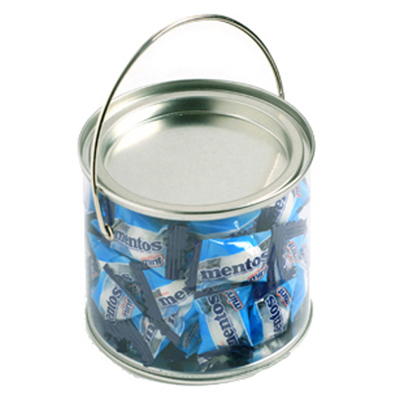 850g of CHEWY Mints in PVC Bucket. 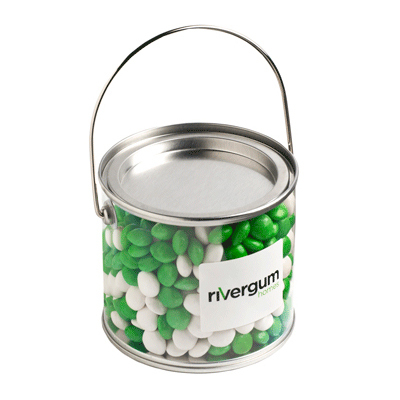 Normal Mints at additional cost.